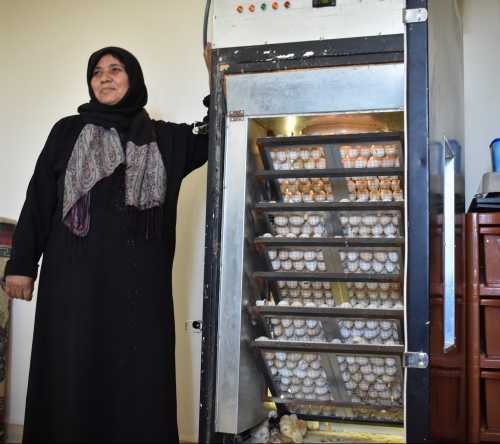 Many Syrian refugees, like Fatima and her family, left successful businesses behind to ensure their safety and find peace. The struggle to gain their footing and rebuild their life begins the minute they enter their host country and continues for many years after. It is in this complex landscape that NEF is working to help both vulnerable host community and refugee families find safe and sustainable opportunities to earn an income and achieve economic stability. From the hallway outside of Fatima’s apartment, you can hear a cheerful symphony of chirps coming from within. Prior to 2012, these chirps would have been coming from the chicken farm that she and her husband ran for more than 15 years in their homeland of Syria. 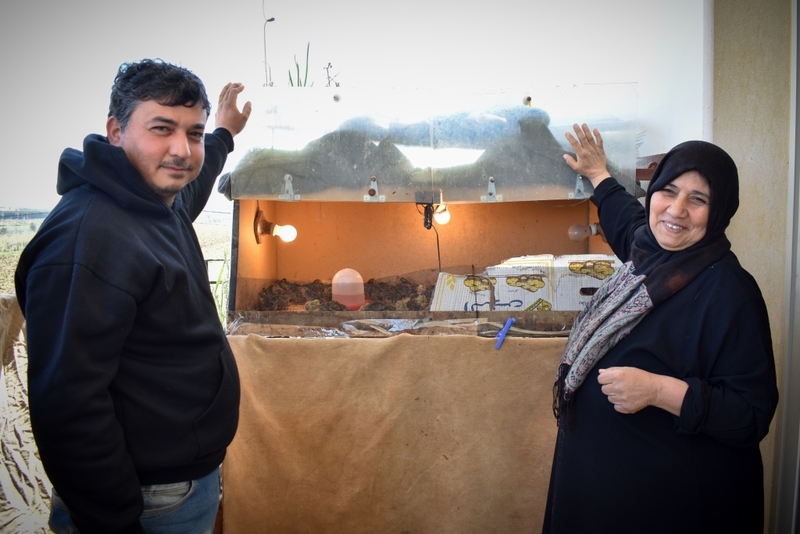 Now, with her husband’s health failing, Fatima and her son have developed a small chicken hatchery operation that consists of a large incubator in their family’s kitchen and a tiny coop for newly born chicks out on their apartment balcony. “We moved to Lebanon because of the war in 2012,” Fatima explains. Initially, they spent some time in a refugee camp and this is where Fatima was introduced to NEF’s livelihoods program that pairs business development training, ongoing mentoring, and a cash grant to help refugees and vulnerable Lebanese launch income-generating activities. 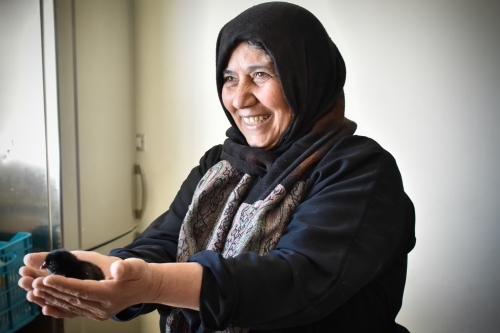 With her prior knowledge about raising chickens but little business acumen, Fatima enthusiastically pursued the business training which allowed her to develop a feasibility study and business plan. The trainings also offered a much needed safe haven after the trauma of fleeing their home in Syria and starting over in a new place. Fatima’s plan was deemed viable and she was approved to receive an $850 grant. “Before receiving the grant of $850 I thought it was a gimmick until I went to Liban-post and cashed the money,” she says.